Has won almost every major race as a rider. Five-time Irish Champion Jockey. Credits Sinndar as being the best horse he ever rode. Won The Derby, The Irish Derby and the Prix de l’Arc de Triomphe on him in 2000 – the only horse ever to notch up that treble. 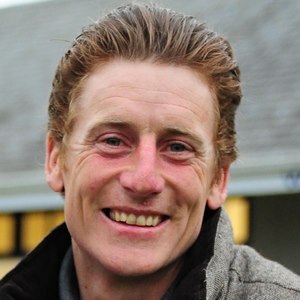 Murtagh won around £10 million in prize money for his owners between 2000-3. Was a jockey to follow at Royal Ascot – scored in all of the Group 1 races staged there, including five Gold Cups. Might have become a boxer or football player. A boxing spectator, however, suggested to his mother that he had all the qualities of a top-class jockey. Horseracing’s ‘Mr Lucky’, having escaped serious injury throughout his career. Murtagh’s motto is “The river doesn’t need pushing" – don’t rush things, let it flow. Supports Manchester United and is a Roy Keane admirer. Admits to one bad habit – eating too much. Left the job as retained jockey to the mighty Aidan O’Brien stable at the end of the 2010 season to ride the Aga Khan-owned horses in Ireland, but that came to an end in rather acrimonious circumstances in 2012. His great record at Ascot was further enhanced in July 2013 when he rode his fourth Betfair King George winner on the German-trained Novellist, smashing the track record. Also at Ascot, on QIPCO British Champions Day 2014, he got Royal Diamond up in the very last stride to win the QIPCO British Champions Long Distance Cup, his fourth Series victory of the year and his first as both trainer and jockey. In February 2014 he decided to quit the saddle and concentrate on training.